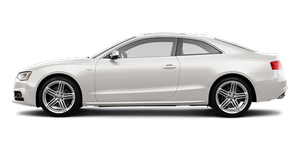 – Press button B in the centre console to switch on the Audi hold assist function. The indicator lamp in the switch will light up. – Press button B to switch off the Audi hold assist function. The indicator lamp in the switch will go out. – Audi hold assist is switched off automatically if you open the driver's door, unbuckle the seat belt or switch off the engine. If this happens when the green symbol is displayed in the instrument cluster, the parking brake will be applied automatically to ensure that the vehicle is parked safely. Switch off the Audi hold assist function before driving the vehicle into a car wash.